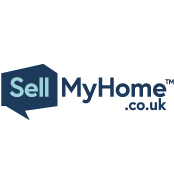 SellMyHome.co.uk, part of MyHomeGroup LTD are the UK's Most Trusted Online Estate Agent, offering vendors the chance to sell their properties hassle-free and without having to pay commission. For as little as £575 including VAT, you'll get 6 months advertising on Rightmove, professional photography & floorplans, for sale sign, weekly reporting and more! No commission, no other fees, just a good, honest service. We're voted Estate Agency of the Year 2017 by Wealth & Finance and were the Runners Up for The Best Online Agent (ESTAS) 2018. UK's No.1 Rated Online Estate Agent. We sell homes quicker...than some of the biggest names in property, including Winkworth, Connells and Foxtons. We achieve asking price 98% of the time. We answer 97% of calls first time and allow you to arrange viewings 24/7. We save our customers £9,200 on average, compared with High Street agents.